The Associate of Arts in Teaching (AAT) introduces students to the teaching profession. Students may choose between Elementary, Middle School, and High School Education curricula tracks. All three degrees require a minimum of 60credit hours of coursework including 42 hours of recommended courses from the core curriculum and a minimum of 18 hours in the field of study. Also required are the courses EDUC 1301Introduction to the Teaching Profession and EDUC 2301 Introduction to Special Populations in which students are introduced to the philosophies and practical knowledge of teaching as well as being given the opportunity to participate in field observations of classrooms in local public school districts. 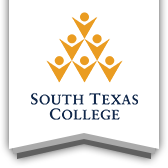 The AAT gives students the opportunity to take a minimum of up to 60 hours of general education courses at South Texas College and then transfer into a four-year university’s School of Education. This degree meets the "No Child Left Behind" requirements for paraprofessionals and allows students to receive Continuing Education Certificates of Completion for Substitute Teaching upon completion of EDUC 1301 and for Teacher Assistant upon completion of EDUC 2301. It is strongly recommended that students contact the Education department for specific degree plans aimed at transfer to UTPA, UTB and TAMUK. Most teachers work the traditional 10-month school year, with a 2-month vacation during the summer. During the vacation break, those on the 10-month schedule may teach in summer sessions, take other jobs, travel, or pursue personal interests.